Single top to bottom zip. For clothes rails up to 121cm (4 feet) wide. 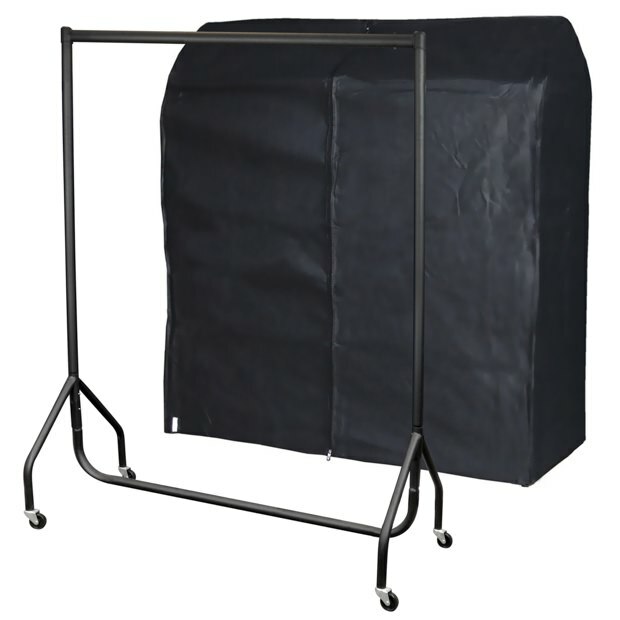 High quality protection of hanging clothes from dust and dirt. Sturdy steel, black finished heavy duty construction. Complete with castors but you don't have to use them. Cover Size: Width x Height x Depth 121cm x 165cm x 60cm approx. Rail Size: Width x Height x Depth 122cm x 160cm x 52cm approx.